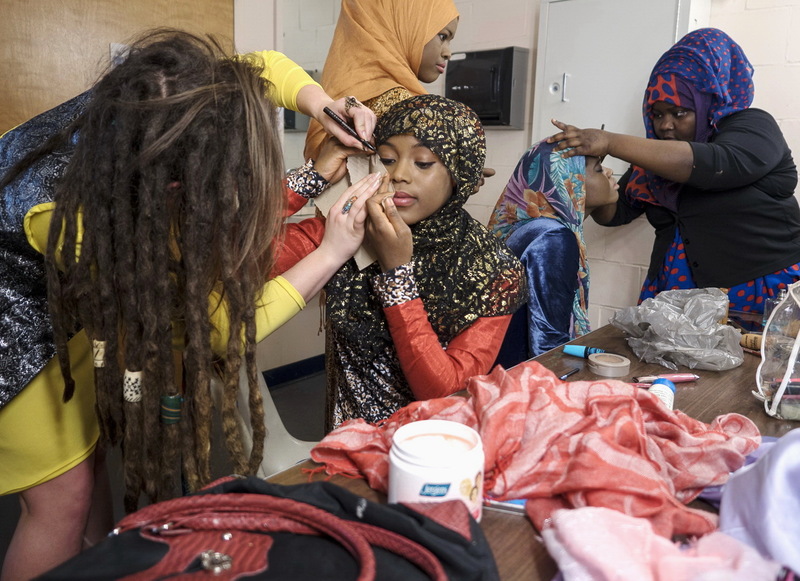 For a promotional video shoot in Lewiston, Maine, designs by 19-year-old Sahro Hassan are modeled by Heather Pollock. 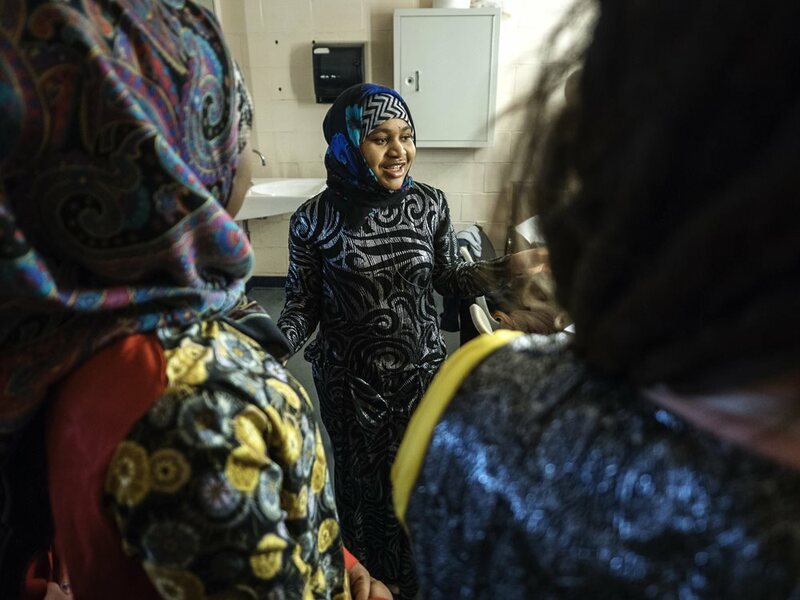 When Sahro Hassan stepped into the halls of Lewiston Regional Technical Center as a freshman in 2010, she was already designing her future along with trendy clothes for young Muslim women. “I remember my mother telling me that she and my father walked for days and days before they ended up in Kenya,” she recalls. Desperate to leave famine and civil war behind, Sahro’s parents spent several years at a refugee camp named Dadaab, some 100 kilometers across the border, where Sahro was born. After relocating to the Kakuma camp in northeastern Kenya, the family was accepted for refugee resettlement in Indianapolis, Indiana when Sahro was 10. 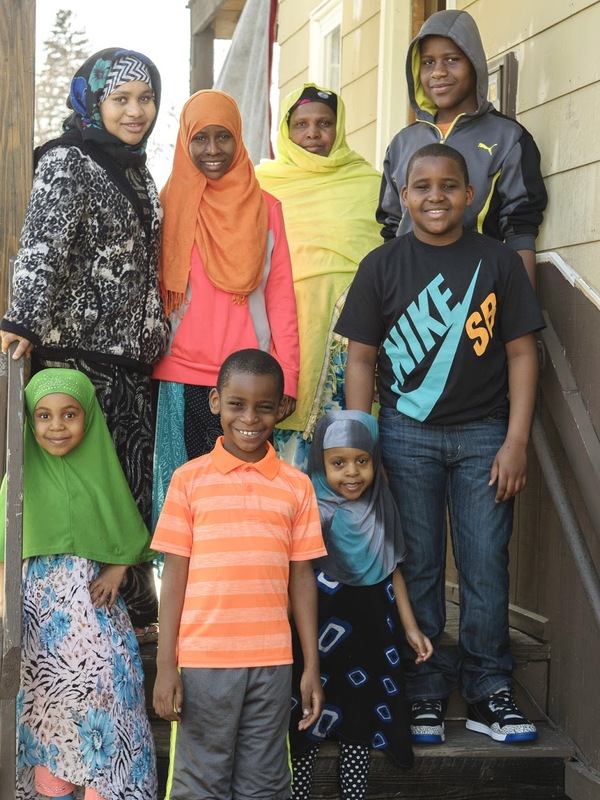 After four months there, Somali friends in Lewiston suggested the Hassans join them in Maine. 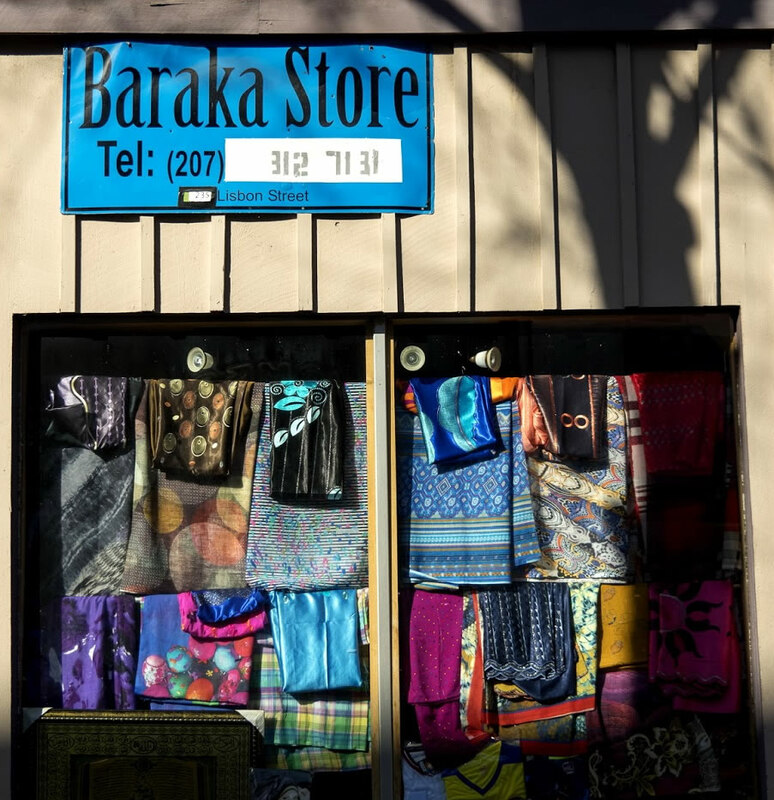 Vibrant colors and patterns on display at a local Baraka store. 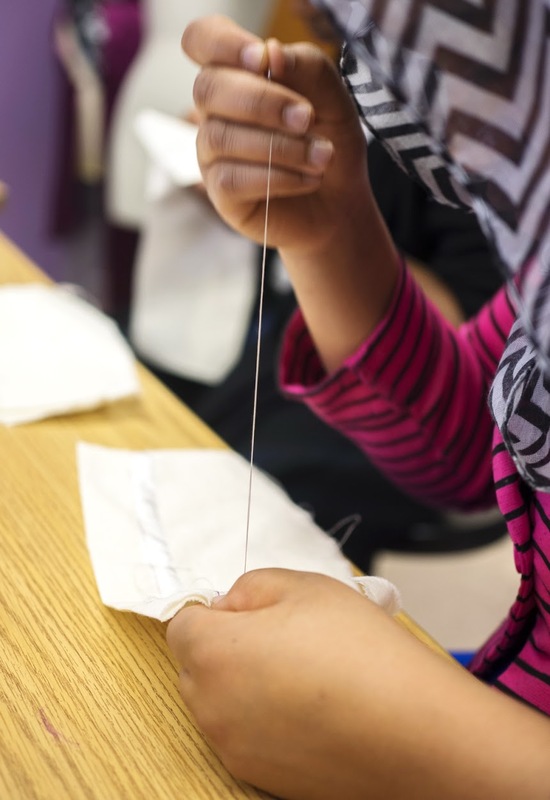 Hassan learned to sew at the Tree Street Youth after-school program, and as a freshman at Mount Ida College in Newton, Massachusetts, she honed skills in apparel construction under Jeanne McDavitt. With each show, Hassan’s sewing and production skills have improved. In 2013 and 2014, she held two at an outdoor plaza during the city’s summer Artwalk festivals. Local Lewiston residents filled the seats at her last show, Benjamin-McManus recalls. “Most of the spectators were white. Afterwards they came up to Sahro and wished her well. They were so supportive it blew me away,” she says. Among those who were impressed was Lewiston photographer Jim Walker, who offered to photograph her fashions and created her first professional portfolio—for free. Take an economically struggling Maine mill town of 36,600 and add to it nearly 5,000 Somalis seeking haven in a new country. On the surface, it hardly looks like a formula for success. When the first substantial numbers of Somalis began arriving in 2001 in Lewiston, they were not welcomed with open arms. Unemployment was high, and locals feared that new arrivals would overburden social services and increase competition for the few jobs left after the closure of once-thriving textile mills. Today, per-capita income in Lewiston is rising. The crime rate has dropped. The center of town, once called “The Combat Zone,” has new, family-owned grocery stores offering halal meats (prepared following the Islamic method of slaughter), and there are storefront mosques in between new organic-food cafes as well as other more conventional businesses. “Sahro is an amazing success story,” says Sleeper, “and an important peer role model for our other students at Tree Street.” Both Sleeper and her colleague Kim Sullivan continue to mentor Hassan as she pursues fashion design at Mount Ida College in Newton, Massachusetts, just outside of Boston. Hassan’s desire to launch her own business got a boost during her junior year at Lewiston when she joined the Youth Entrepreneurs Academy (yea) program sponsored by the Androscoggin County Chamber of Commerce. Chip Morrison, then president of the chamber and director of yea, interviewed Hassan when she applied. He wondered how this soft-spoken, small young woman was going to be able to promote her business idea. “But she had this incredible drive. You could feel it even though she didn’t articulate it very well in the beginning,” says Morrison, who observed her transformation over the 30-week after-school program. The self-proclaimed “Islamanista” coaches before the show. Today, it’s hard to find anyone in Lewiston who hasn’t heard of “Fashion Girl,” as Hassan is affectionately known. Young Muslim women inspired by her designs are sporting brighter colors and trendier patterns, and some local stores showcase her fashions. She has a growing fan club among non-Muslim girls in town. Morrison’s confidence was well founded. As a result of the yea, in 2013 Hassan received first prize in Maine’s “Future Business Leaders of America” competition. Later that same year she represented Maine in the national Future Business Leaders of America competition. In 2014 she won the “Girls Rock Award” for entrepreneurship from Hardy Girls, Healthy Women, a Maine-based non-profit. That’s quite a list of accomplishments for a young woman who didn’t speak a word of English when she arrived in Lewiston eight years ago, let alone a word of fashion lingo. The conversation, it appears, is just beginning.